In an age of mediated listening, technology will help us filter, amplify, process and respond to signals in the world around us, enabling hands-free control over our environments. Devices that enable “super hearing” in patients will “listen” to our biometrics and respond to our brain waves. 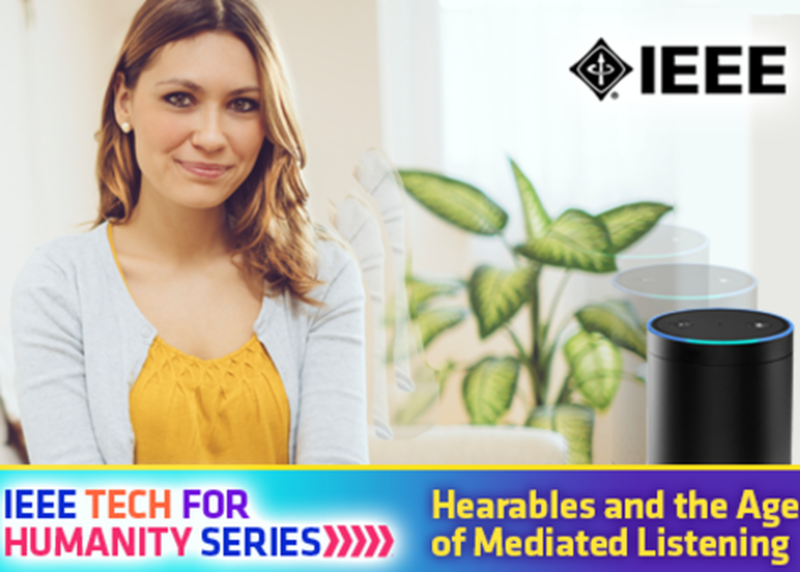 As passive listening gives way to more pervasive listening within our public and very private worlds, “hearable” devices from Google Home and Amazon will take center stage. In a world where everything is listening, how will our lives, thinking and behavior change? Join experts from Karten Design, Starkey Hearing Technology and Dolby Technologies Inc. to find out! Part of IEEE’s Tech for Humanity Series.